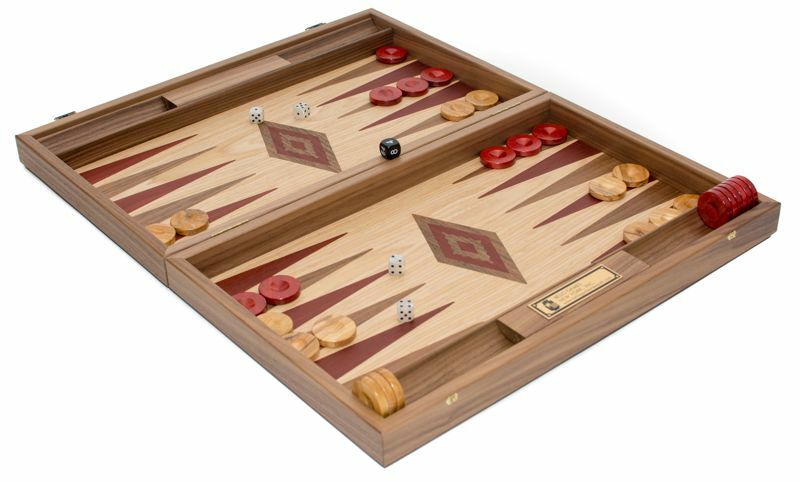 Aphrodite Deluxe Walnut & Oak Backgammon Set from Greece 18 1/2 [5219R] - $275.00 : Bello Games New York, INC.
Home Backgammon Wooden Backgammon Sets Aphrodite Deluxe Walnut & Oak Backgammon Set from Greece 18 1/2"
Aphrodite Deluxe Walnut & Oak Backgammon Set from Greece 18 1/2"
This exotic backgammon set is beautifully designed and crafted, the 18 1/2" cabinet is meticulously constructed from walnut, oak & other exotic woods. The top and bottom of the cabinet features a striking decorative pattern of various precious hardwoods. 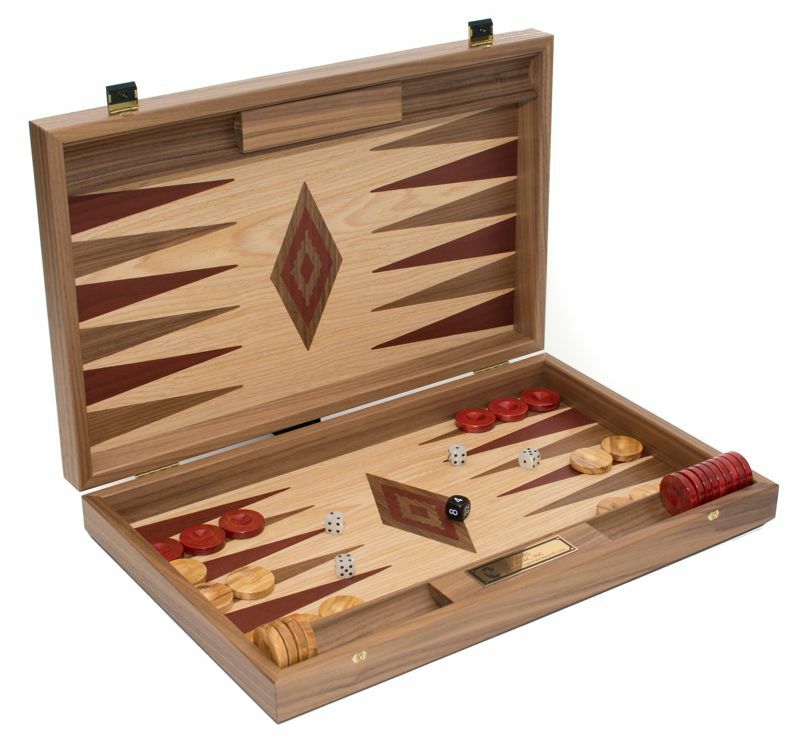 This hand made walnut backgammon set from Greece opens to a beautiful oak playing field with red and walnut inlaid points. The hardware on the case is solid brass. The colors give a beautiful contrast. The backgammon checkers are gorgeous olive wood with a finger dish for easier moving. Complete with beautiful mother of pearl type dice. This is a beautiful backgammon to leave on display closed just as you would leave out a fine piece of crystal. • 18 1/2" X 11 3/4" X 3" (closed) 18 1/2" X 23 1/2" X 1 1/2" (open). • Size of backgammon pieces: 1 7/16" X 9 3/2".